Case of 100 Barista Sticks. 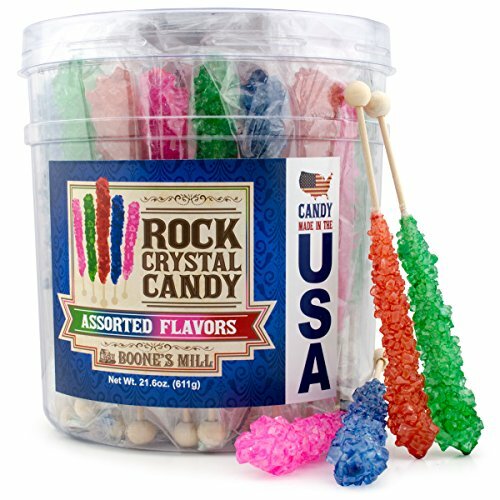 These are the best quality rock candy sticks on the market! These Old Fashion Candy are the perfect sweet for your party, or just when you have that sweet tooth. Do not be fooled by other sellers offering small swizzle stick size. The average size of the entire candy is almost 7", 4" of which is all rock candy. Each of our rock candy sticks come individually wrapped for your safety in clear wrapping. All of our candy is extremely well packed to ensure that your rock candy sticks arrive to you safely. We pride ourselves on customer service. If you do happen to receive any that broke in transit, please let us know immediately and will send you the replacements free of charge. 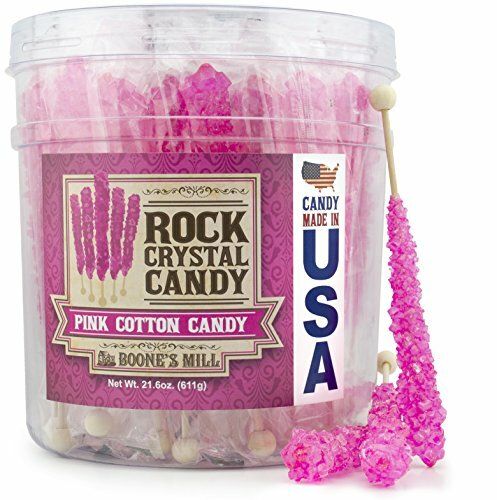 Buy with security knowing that you are buying the largest rock candy sticks available, and are packaged incredibly well. We guarantee you will receive exactly what you wanted. Feel free to contact us for any questions! Whether you are looking to add something unique to your candy buffet, wedding, birthday party, or just using for decoration, these are a perfect fit. 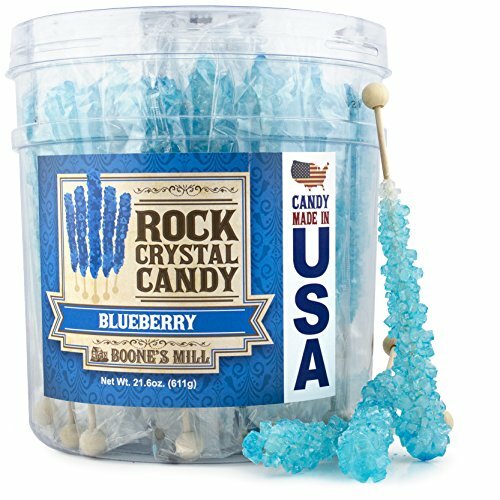 12 Light Blue, 12 White, 24 Rock Candy Sticks in Total - Blue Is Cotton Candy Flavored, White Is Natural Sugar Flavored. Free E- Book Created By Candy Buffet Store, How to Build a Candy Buffet Table! This combination pack of two of our best selling products was put together by popular demand. These two colors go very well together, and are commonly used for wedding decorations, candy buffets, and Disney's Frozen Movie parties. Each rock candy stick is individually wrapped for your safety. We know how fragile our product is, and have made sure that when you receive our product, it arrives to you in the condition you expect it to be. If it is not, contact us immediately and we will replace those items free of charge! Do not be misled by competitors who put a lot less candy on their items, or who ship so poorly, there is nothing left on the stick by the time you get it. 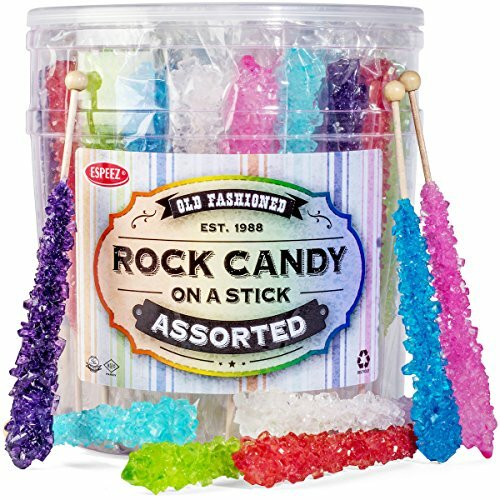 Order your Candy Buffet Store Rock Candy today! 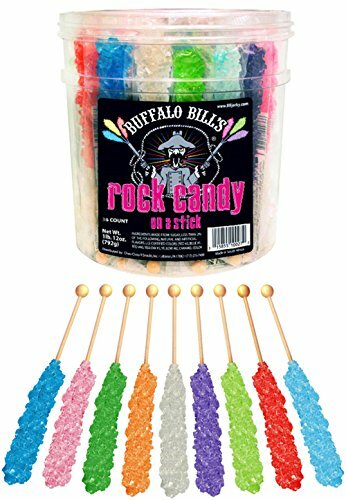 Our Buffalo Bills Rock Candy On A Stick is the same nostalgic candy we all remember as kids except we've made the colors more vivid and the flavors more current. A classic candy with a modern twist. Each 1.8-lb plastic tub contains 36 individually wrapped 6.5" sticks (in 9 assorted flavors) - each stick weighs 0.8oz. The 9 assorted flavors are Cherry, Cotton Candy, Grape, Green Apple, Natural Sugar, Orange, Raspberry, Strawberry, and Watermelon. Buffalo Bills Rock Candy On A Stick is Kosher and Halal Certified. In addition to being a great addition to any candy buffet, our rock candy sticks are often used as wedding and party decorations and favors. 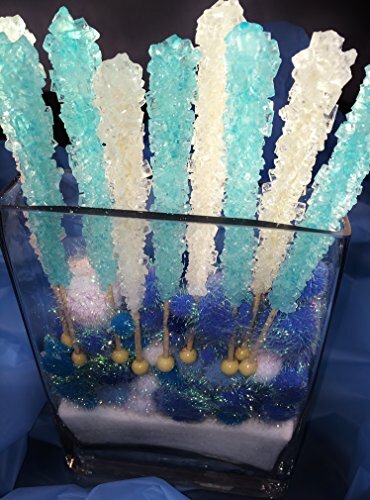 Customers often make rock candy centerpieces using our sticks, too. Make sure to check out our other Buffalo Bills Candy Classics. Our Candy Classics include Coconut Bars, Fruiteez Fruit Flavored Candy Slices, Gold Nugget Bubble Gum, LolliCubes, Old Fashioned Cinnamon Suckers, Rock Candy On A Stick, and SplatterPops (Jumbo Jawbreakers). 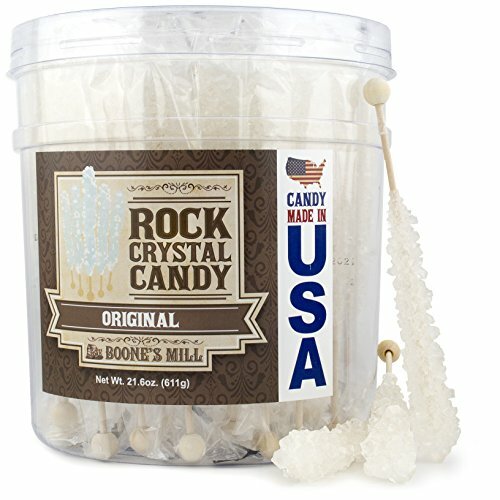 Compare prices on Rock Candy Sticks at Shopsimal.com – use promo codes and coupons for best offers and deals. We work hard to get you amazing deals and collect all avail hot offers online and represent it in one place for the customers. Now our visitors can leverage benefits of big brands and heavy discounts available for that day and for famous brands.